Education Futures is launching a Quality Schools initiative to benchmark and recognize schools that lead with quality, 21st century-relevant practices. The Education Futures Quality Schools program provides schools, university departments, and other learning sites a cost-effective approach to benchmark their presence in the modern world and provide strategic pathways for improvement. Through a benchmarking process, it is expected that schools will be able to better measure and communicate the quality-driven efforts they engage in to create meaningful 21st century learning spaces. This process is designed to be co-constructive, with six criterions that have been identified by Education Futures as critical for quality schools, together with additional criterions that are identified by the school being studied as being important to itself. The purpose of the Quality Schools program is not to provide another accreditation or certification regime, but rather to provide a comparative platform for schools to lead conversations and strategic activities for creating creating value. Democracy: Democracy is practiced within all aspects of the school. Relevant curriculum: The school empowers students to learn through multiple modes of learning. Measurement: The school authentically measures what it values. Technology: Digital skills and use of technologies are invisible. Engagement: The school is engaged with the community it serves. Management: Today’s challenges are not solved with old thinking. Education Futures Quality Schools add to the diversity in an ecology of options for evolving learning. Recognizing that there is no single master pathway toward the future, participating schools are also invited to create additional criterions that are important to them and add purposive value. The Education Futures Quality Schools process was designed to be completed over a traditional school year, but may be completed in any period that fits a school’s particular strategic planning and workflow. 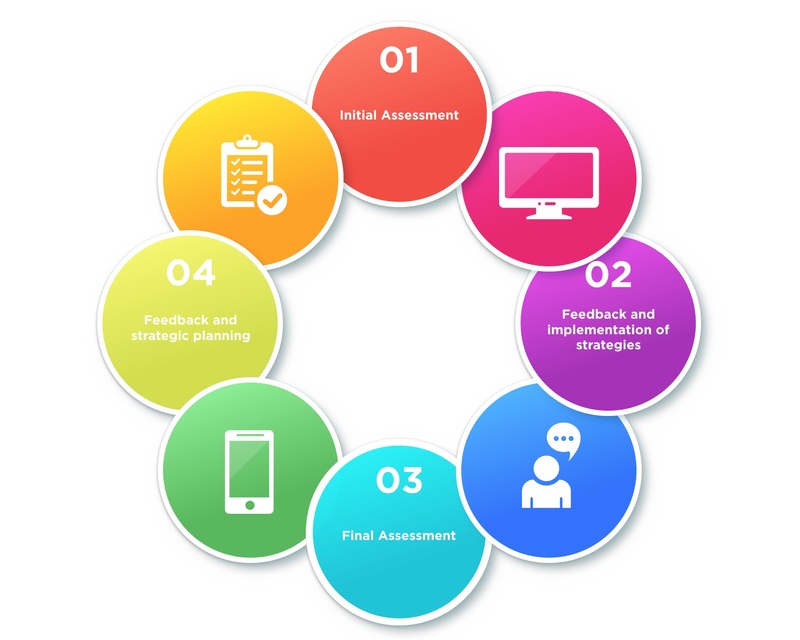 Schools are strongly encouraged to engage an assessor at the beginning of the process. Credentialed assessors are listed in the Education Futures website. Assessors serve as external consultants to the Quality Schools process. Upon receiving the benchmarking materials, schools are expected to immediately work on the self-assessment of the six core Quality Schools criterions. These criterions have been selected according to the purpose, intent, and principles identified above. Among these principles, we ask schools to measure what they value, not value what they measure. Participating schools and sites in the Quality Schools program are therefore requested to craft a minimum of two additional criterions that possess unique value and meaning to themselves. A school may complete the write-up of the six key criterions of the Education Futures Quality Schools report with or without the help of an assessor, but the reporting of the two additional, self-designed criterions must be completed in consultation with their selected assessor. Quantitative scoring, utilizing the scorecard, is to be completed by the assessor through an interview with the school, using the report as a basis for the conversation. All assessments are to be submitted electronically to Education Futures for review and records retention. Quantitive scores will be shared in a publicly-accessible database. At the conclusion of the Quality Schools process, each participating site will receive a certificate. Sites that significantly demonstrate quality by meeting all six core criterions will be recognized with special status. Apply to join the Quality Schools beta by February 26, 2016. Beta participation is free to all accepted sites. What is the program fee for participating sites? The annual program fee for participating sites is expected to be set at $595. As part of the process, schools must engage with an external evaluator (a person trained on the Quality Schools program who is not affiliated with the school), who may charge an additional fee for their services. Who are eligible to serve as assessors? Assessors are individuals who have met minimum qualifications to serve as an assessor and who have completed Quality Schools training from Education Futures. Please note that while a school may select any assessor it desires provided that person 1) is credentialed by Education Futures, and 2) has no relation, conflict of interest, or other ethical issues with the school undergoing evaluation. Information on low-cost and free training sessions for qualified external evaluators will be posted here soon.